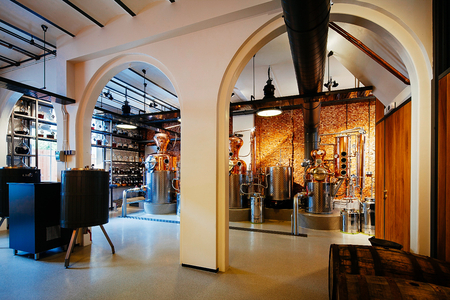 Established in 1575, Lucas Bols is the world’s oldest distilled spirits company, making liqueurs and genever by combining centuries-old recipes, natural ingredients and traditional flavour-extraction methods. 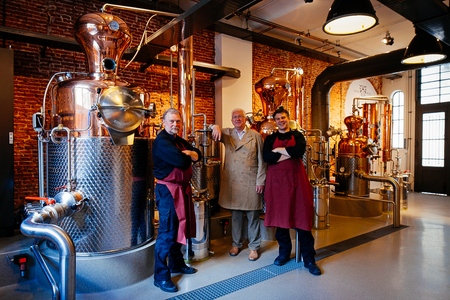 For 379 of those years, Lucas Bols was run by three successive families. Then it went through a series of mergers and acquisitions, finally re-emerging as an independent company, once again in Dutch hands. Bols Genevers, like all genevers/jenevers, are a blend of ‘moutwijn’ (malt-wine), a distillate of a secret mix of botanicals including juniper, and neutral grain spirit. In the 19th century, genevers were one of the four key ingredients in classic cocktails, such as the Tom Collins and the Holland House. Malt wine is distilled from equal parts fermented wheat, rye and corn with a small amount of malted barley added to provide enzymes to aid conversion of starch to fermentable sugars. The temperatures used in the mashing process where the sugars are converted, and the steps at which those temperatures are dropped, from 90˚C to 30˚C, along with the fermentation process and yeast, are crucial to malt wine’s flavour. 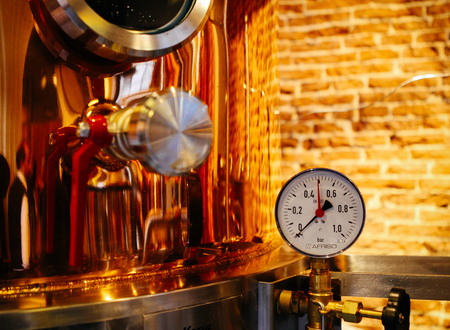 The fermented liquid (wash) is first distilled using a stripping column before being twice distilled in a copper pot still. After the final distillation, the malt-wine leaves the pot still at around 47% abv. This relatively low distillation strength produces a highly flavoured spirit, retaining the malty flavours of the grains from which it is distilled. 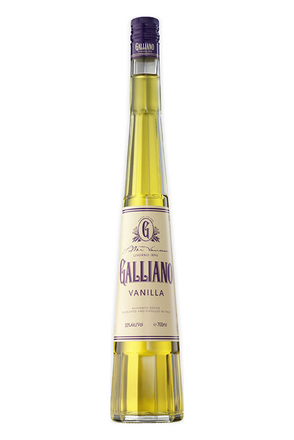 It is this malt-wine that gives Bols genever its distinct flavour. 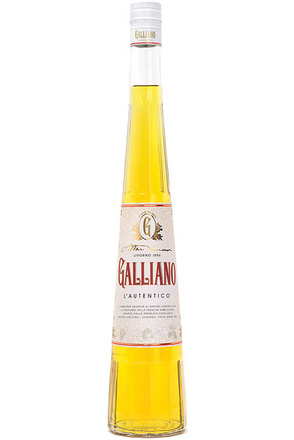 The second component is a botanical distillate made by redistilling grain neutral alcohol with a recipe of botanical flavourings including coriander, caraway and aniseed. In some cases, like for Bols Corenwyn, juniper is distilled separately from the other botanicals in malt wine instead of neutral grain spirit – so making a third ingredient. 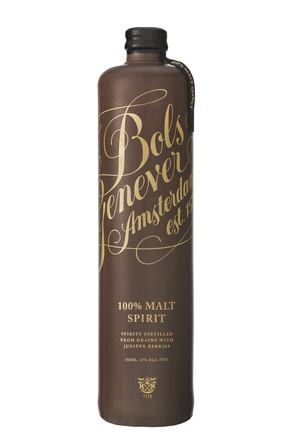 The final ingredient is a secret ingredient that the Lucas Bols Master Distiller Piet van Leijenhorst has rediscovered from ancient Bols recipes and which gives Bols Genever a distinctive after-taste. If an aged genever is being made then the malt wine and botanical distillate blend will be aged in oak casks, usually a combination of new and used French Limousin oak and, only for the Corenwyn aged 6 years, also American oak. 1/. Malt wine is made from equal parts wheat, rye and corn with a small amount of malted barley added to provide enzymes to aid conversion of starch to fermentable sugars. 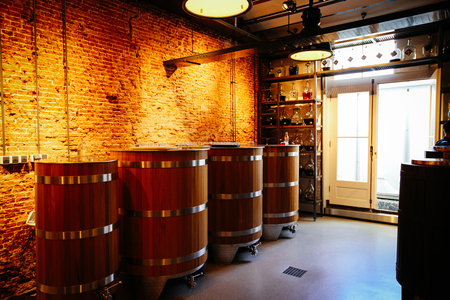 The temperatures used in the mashing process where those sugars are converted, and the steps at which those temperatures are dropped, from 90˚C to 30˚C, along with the fermentation process and yeast, are crucial to malt wine’s final flavour profile. 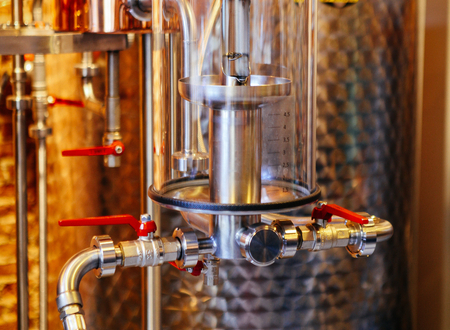 The fermented liquid (wash) is first distilled using a stripping column before being twice distilled in a copper pot still. 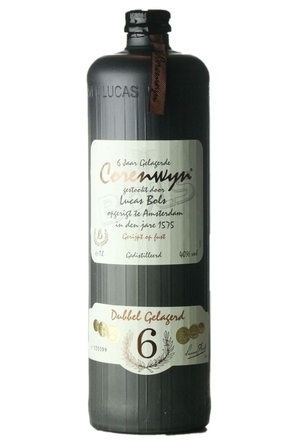 After this triple distillation, the 47% abv distillate produced is then aged in new and used Limousin oak casks, for between two and ten years to produce the various aged Bols Corenwyn variants, which are each unique blends created by the Lucas Bols Master Distiller and his blending team. 2/. To make the juniper distillate for Corenwyn, carefully selected juniper berries are steeped in malt wine and then distilled in a copper pot still. 3/. 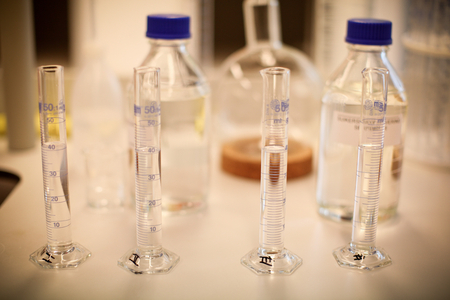 A botanical distillate is made in a similar process to the juniper distillate. A botanical recipe specific to Bols Corenwyn including aniseed, root ginger, hops, angelica and liquorice is steeped in neutral grain alcohol and then distilled in a copper pot still. 4/.The malt wine, juniper distillate and botanical distillate are blended and aged in a combination of new and used French Limousin oak casks. Bols Corenwyn is then bottled into the traditional clay bottle. Each hand-made clay bottle has the Bols name stamped into the wet clay. Their first use dates back to the 16th century when clay jars from the German Westerwald region were used to hold mineral water and were sold to the rich in Amsterdam. The empty clay water jars were then re-used to hold genever. Bols draws upon over 400 years of liqueur-making experience, combining centuries-old techniques with modern-day technology and scientific evaluation and testing techniques. Bols talks about its liqueurs being flavoured with either Esprits or Tinctures. 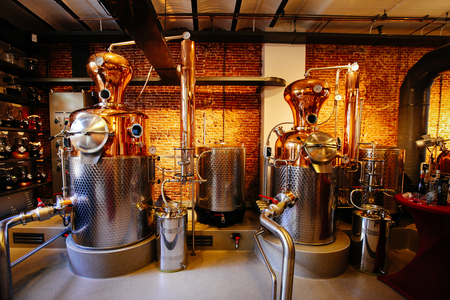 Esprits are produced by distillation while tinctures are made by steeping or percolation of natural ingredients such as herbs, spices and fruits. The difference between these is illustrated by the company’s two Crème de Cacao products – White and Brown. The white version is made using an esprit (distillate) of cacao beans, whereas the brown version is made using a tincture (percolation) of the same ingredient. When you sample these two extracts, there is not only a difference in colour (one is clear, the other dark brown), but also a significant difference in flavour between the two. The steeping process to make a tincture sometimes involves maceration, where the botanicals are broken rather than steeped whole in alcohol. 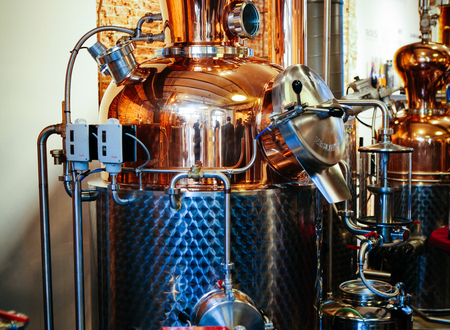 Often the production of an esprit will involve a botanical being steeped or macerated before being distilled. Percolation can be compared to the old-fashioned way of making coffee and Bols percolates botanicals such as cacao and coffee beans for several days. A large stainless steel filter is filled with broken cacao beans (or other botanical) and this is hung in the Percolator tank. The tank is closed and filled with a warm mixture of alcohol and demineralised water. The warm diluted alcohol is continually pumped so after the liquid has steeped down through the beans, it is pumped from the bottom of the tank to the top to repeatedly steep through the beans. The extract obtained is called a tincture, because it extracts not only the flavour and aroma but also the colour of the botanicals. Steeping can be compared to making tea, where natural ingredients such as mint leaves are left to soak in a mixture of alcohol and demineralised water for hours or even several weeks. The resulting extract is also called a tincture and is strongly aromatic with not only the taste but also the colour of the ingredients. Before the distillation process begins the still is filled with a mixture of herbs, seeds, peels or pips, depending on the recipe. These are either poured on the bottom grid of the still or placed in bags so that they can be removed easily after use. Thereafter alcohol and demineralised water are added to the botanicals. While the mixture is allowed to soak, it is heated very slowly by means of a steam jacket under the still (in the old days by means of an open fire), a process comparable to making a good stock. When the temperature is eventually brought up to boiling point the actual distillation process starts. The alcohol in the mixture boils at 78°C and as it evaporates takes with it oils and other volatile extracts from the botanicals with it into the head of the still. Once the head of the still is saturated with this hot aromatic vapour, it flows on into the condenser where it is cooled and condensed into a liquid. Bols call the clear botanical flavoured distillate obtained an ‘esprit’ – with an alcohol strength of 70 to 80% alc./vol.. 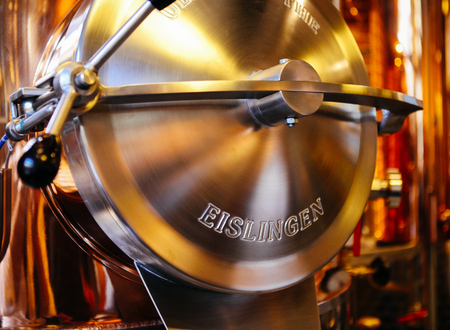 The blend for each liqueur is exactly specified by the Master Distiller. This mixture is left to ‘marry’ for a certain number of days, until all flavour components are in balance and the finished liqueur has been tested and approved. 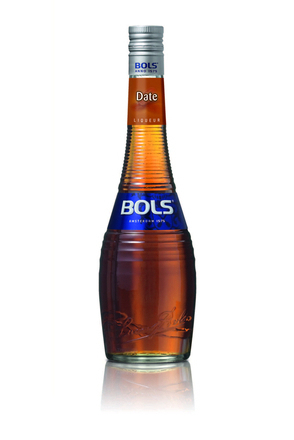 mate using dates from North-East Africa, Bols launched this date flavoured liqueur in September 2015. Bols Corenwyn is aged for two years and packaged in an individually numbered, brick-orange coloured clay bottle finished with a white and red ribbon. 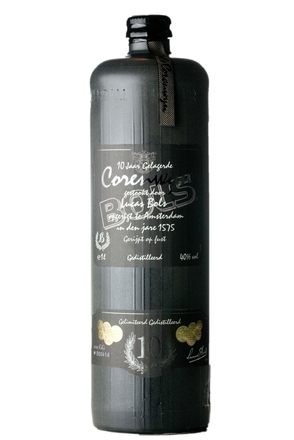 Bols Corenwyn ‘4 Jaar Gelagerd’, meaning ‘aged for four years’ is presented in an individually numbered gun-metal-grey coloured clay bottle with a beige and black ribbon.